Get in touch now and talk to us about how we can become part of your team. 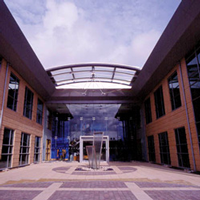 Our office is located in the heart of the Thames Valley, just south of Reading, Berkshire. We are just off junction 12 of the M4 for easy access from the motorway and only 40 minutes by road from London's Heathrow airport. We are also opposite Theale railway station, which can be reached via a short journey on the half-hourly service from Reading station. Fast trains operate from Reading to London regularly, with Paddington station only 40 minutes away. Reading station also has good rail links with many other parts of the country. In addition, there is a rail-air coach from outside the station that takes passengers directly to all Heathrow terminals.